You may have noticed a degree of tongue-in-cheek humour with print.css. This is not intended to be used blindly, rather it exists to raise awareness of lazy print css development. Paper is costly, yet there are many reasons a web page may need to be printed (invoices, receipts and tickets to name a few). 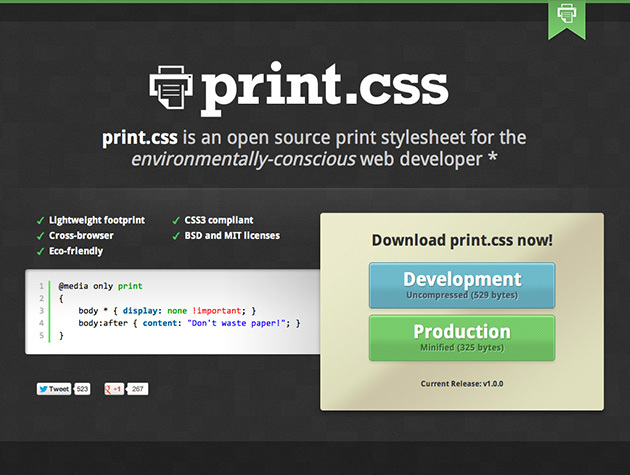 Make your print CSS eco-friendly; only display what’s needed. Make sure your web pages don’t span a whole ream!